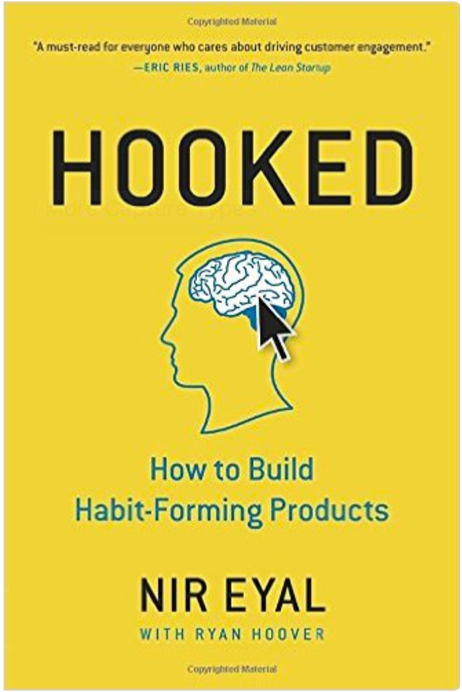 Nir Eyal in his book proposes a methodology for building habit-forming products. He argues that products can be built and successfully transformed into ‘habits’ by following these four steps: Trigger, Action, (Variable) Reward, Investments. One of the interesting ideas in the book is what he calls ‘internal triggers’, these are forces that trigger the usage of the app but the force is initiated by the user himself/herself – internally. For example: user decides to capture a moment that s/he feels memorable in Instagram, there was no trigger from the product – Instagram. That’s where you should get to with your product, when users have enough internal triggers to keep using your product on their own without you triggering them with ads, push notifications and email newsletters. Video of Nir Eyal summarizing his book in 30min, watch here.